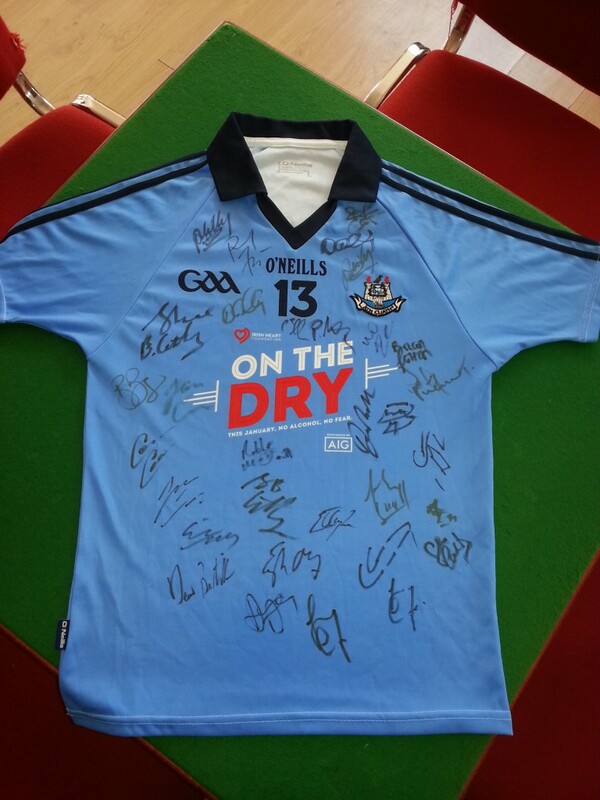 Signed Dublin Jersey to be auctioned at Family Funday 2016. 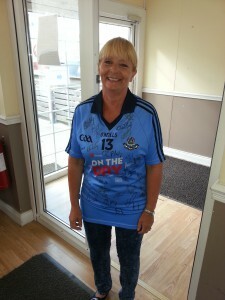 Signed Dublin Jersey, 1 of 30 limited edition jerseys worn by Bernard Brogan and signed by the Dublin Team to be auctioned during the Family Funday, Sat 17th September 1pm – 5pm. 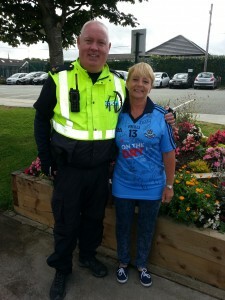 Signed Dublin Jersey delivered by Garda Frank Howe (Kerryman) to Tricia O’Halloran at Rathcoole Community Centre.